The terrifying cost of pension scams has been laid bare in new data showing the average scammer loses £91,000. Two victims have lost more than £1 million to pension scams in recent years, according to new figures. Action Fraud highlighted the devastating impact scams can have on finances, with the typical victim losing £91,000. 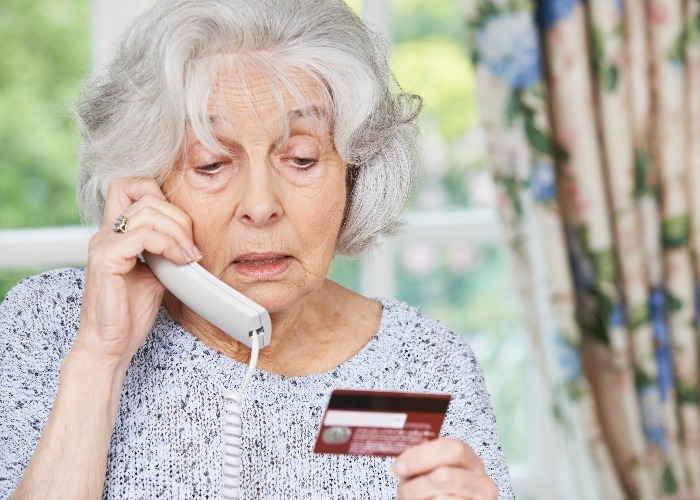 This ties in with earlier research from the Financial Conduct Authority (FCA) and The Pensions Regulator (TPR), which showed that Brits aged between 45 and 65 are regularly targeted by scammers because they tend to have more money to put into investments. According to the regulators, one in three don't know how to check whether they're speaking to a legitimate pensions advisor or a scammer. Fraud activity has increased since pension freedoms gave over-55s the ability to access huge amounts of money with relatively limited oversight. If you get an unexpected phone call, be on your guard, advises Nicola Parish, executive director of The Pensions Regulator: “if someone cold calls you about your pension, it’s probably an attempt to steal your savings. What should I do if I'm suspicious? The FCA and TPR recommend you always reject unexpected pension offers. You can check if you're dealing with an authorised firm using the online FCA register or calling the FCA on 0800 111 6768. Also have a look at the FCA's ScamSmart website, where you can find extra advice and report scammers. Cold calling ban: when can a company contact me? In a bid to better protect the public, the Government recently introduced a ban on pension cold calling. The move also includes texts and emails. So does that mean any, call is a scam? Almost certainly... unless it falls under one of the two following exceptions: companies can still contact customers who have expressly requested information from them, as well as making marketing calls to existing customers. Need pension mis-selling scandal: are you due £2,000?